Functional cupboard with options to fit any decor. Features glass panels, two drawers, one door and open shelves for convenient display and storage. Handcrafted from solid premium mahogany. 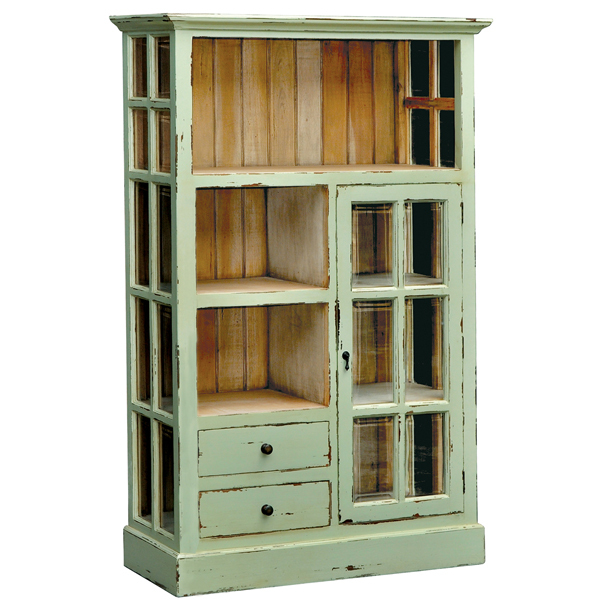 Shown in Pistachio Heavy Distressed painted finish on exterior and Driftwood with Antiquing wood stain interior.